We think the most obvious places to start, is with the most famous tourist attraction in Paris, which has become the icon of France and is known throughout the world. Yes, you already know what we are talking about, the Eiffel Tower. 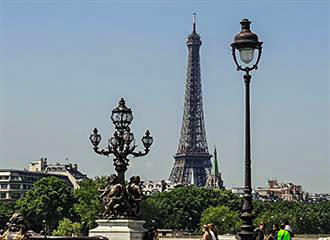 The Eiffel Tower has so much to offer visitors of all ages and there is even a special circuit with a game book that is designed for young children to enjoy, plus there are souvenir shops and buffet snacks that even include pizza and hotdogs. Not forgetting that there are themed special events held at certain times such as the ice skating rink in winter, which is a free activity for all to enjoy. 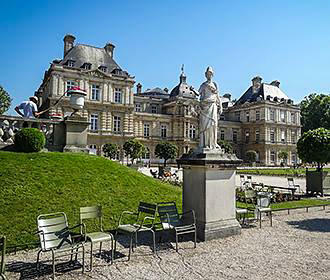 Also you will find numerous parks and gardens in Paris, which are ideal for a picnic and many of these have a dedicated childrens play areas with swings, sandpits and more, plus during the holidays you will often find places that offer pony rides. One such place that you may of heard of is the Luxembourg Gardens and this is the place that you will find the oldest merry-go-round in Paris that was built in the 1800s, however, for teenagers, there are skate parks and other activities such as table tennis, which is a great way of letting them have a break before going to see one of the other tourist attractions in Paris. And during the summer holidays in Paris, children, and adults for that matter, will be in their element as there are so many things to enjoy from live music to puppet shows and lots of different fetes and fairs. And on top of that, the French really do know how to make the best of the summer, as Paris makes its very own beach with deckchairs, volleyball, absolutely tonnes of sand and much more, all set up along the River Seine for everyone to enjoy. Now getting around Paris, like any other major city this can be daunting plus many people do not like the idea of driving around the city, even we have had fun in the past, but the transport options in Paris are excellent, helping you to get from one area to another. Yet rather than going on the metro, you could opt for a tour bus that will take you on a sight seeing tour of Paris and children love the idea of the open top buses, one such company is l’Open Tour that has different routes like going down the famous Champs Elysees. How about a boating trip that can also be fun and there are lots of boat trips along the River Seine that cater for all budgets, and in addition to these you also have the Batobus, which is basically like a bus with different stops to some of the Paris monuments, but on the water! 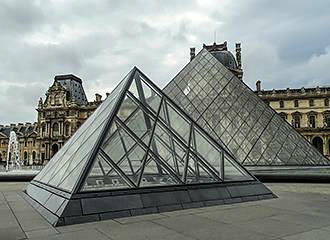 However, unfortunately, we cannot always rely on the weather, yet rather than being stuck in a hotel room or in your caravan, the good news is that there are still plenty of options for places to visit that are undercover, which will keep everyone happy whilst you are on your family holiday in Paris. 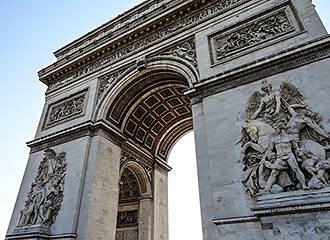 Like circuses that are always very popular in any country and are a great way of entertaining the children and Paris is home to two main circuses. The first called the Cirque Diana Moreno Bormann is a true family circus where you can even book tours of the wings or book a workshop to help with feeding the animals learning about props, etc. The second is the Cirque d’Hiver Bouglione also known as the winter circus, however, as the name suggests, this is only open throughout the winter months, as the building also plays host to lots of other events. Yet perhaps science and discovery are more to your liking and if this is the case, then the Cite de Sciences is an absolute must place to visit, although we would highly recommend allowing a good day here, as there are numerous different sections within this centre, which is also classed as a museum, but we would hardly call it that! Anyway, you have a section dedicated to young children from age three up, a techno section for teenagers, another section with virtual reality lets you experience the Ariance rocket or even travelling through the human body! Or how about experience weightlessness or piloting a plane in a simulator, all of this and much, much more can be discovered at this fabulous science centre. But for those of you that want something completely different again, opposite the Cite de Sciences you have the decommissioned Argonaut submarine, which you can go inside and get to see firsthand the torpedo launch area, the radar control centre and much more. You could go to one of the aquatic leisure complexes that are also very popular, and the AquaBoulevard in Paris is actually the largest water park in Europe with numerous different water slides, flumes, fountains, wave pools, Jacuzzis, a beach and much more for a day of fun and excitement. There is also a cinema complex, several restaurants, shops and boutiques along with a childrens play area, gym and fitness training area, tennis training and much more, although some things are an additional cost, however, we would like to point out that children under the age of three are not allowed into the water park. 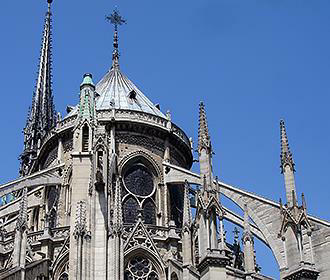 There are of course numerous other places to visit on a family trip to Paris, like going up the towers at Notre Dame Cathedral to see the gargoyles, but there are also numerous tourist attractions you can visit, even if you are just going on a camping holiday near Paris, which we will cover in another article. Some tips to make you holiday in Paris more enjoyable.. So, before we finish there are a few other points that we thought we would mention when you decide to go on a family holiday in Paris, although these can also be implemented for anywhere you decide to go..
Make sure that you know where you are going and what you want to do, and how long it is going to take to get to each place so that children will not get bored plus have a backup plan in place, just in case. And if you find that you are going to be travelling a bit of distance, ensure that the children have something to keep them occupied such as music. Now, throughout a day of excitement and fun, everyone is going to be hungry and lets face it, we all have to eat and cannot live on just ice creams and croissants, even though our Daughter would like to have done! But eating out in Paris can be expensive at many restaurants just like in any city, yet there are places that offer budget meals and menus specifically for children. In fact the Apollo restaurant caters very well for children and they even have theme days with magicians etc. However, you will also find numerous McDonalds restaurants, pizzerias along with cafes and much more that all the children will love, although, if you have the option, then making up packed lunches will save you quite a bit of money. And you know that nothing will be wasted, especially when you consider that just a cup of coffee and a croissant could easily be upwards of €6! Also, before you even leave, make sure that everyone has sensible clothes and shoes on that are exceedingly comfortable and definitely say no to teenage girls that want to wear a short skirt and heels! Seriously though, even if you are taking the metro or the buses, you will be surprised at how much walking you do, or even queuing, like negotiating the stairs or waiting for the elevators at the Eiffel Tower! And depending upon what time of year you are visiting Paris, make sure you have layers of clothes, for example, a T-shirt, jumper and a lightweight anorak or one of the convenient raincoats that fits in a pocket. You will be surprised at how quickly the weather can change, even during summer and it is horrible to end up soaked through or feel too cold from the wind, which can ruin a family camping holiday with the moaning and groaning from everyone. But after all is said and done, just enjoy the experience and have a great time wherever you decide to go or what you choose to do. 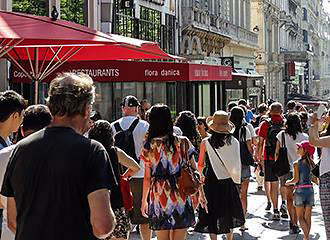 Even though Paris has some wonderful history and famous monuments, along with some of the best French museums, it is not often a place you would think of to take children on a family camping holiday, as it is also often referred to as a city of romance and culture, and yet it can be a fantastic adventure. So we are going to try and give you a greater insight into some of the ways that you can enjoy family holiday in Paris in the Ile de France region, with places to visit along with tourist attractions that are suitable for the whole family. 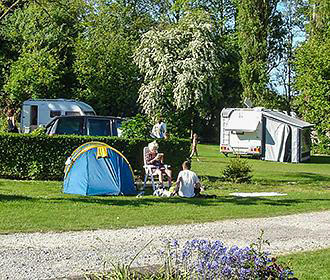 Now, whether you have your own caravan or just a tent, there are numerous French campsites near Paris you can stay at, which can be a cheaper option than booking a hotel in Paris, especially if you have two, three or more children, although there are some lovely hotels that do cater for children with good sized family rooms. But getting back to the campsites, even if you do not have your own touring van, then many of them have mobile homes and chalets you can rent as well, and one that offers both options is the Camping Paris - Camping du Bois de Boulogne which is actually a campsite in Paris itself located in the 16th Arrondissement that is not far from the Eiffel Tower and the centre of the city.